This post is for the bloggers and vloggers out there. As content creators, we are constantly on the lookout for inspiration and ideas for videos and posts. Sometimes life can be boring and you run out of things to share on your platform. Well, I'm here to help out with several blog post ideas (or vlog ideas) that you can use from just one event/outing. Let's say you go out on a date, or hangout with your friends. You don't have to put it all in one blog post. You can create more than one or two or even three posts from just one outing. Makeup - If you're beauty-inclined, a post detailing the makeup products you used and a step-by-step process could be beneficial to your readers. Even if you don't wear a lot of makeup, you can write about your simple routine - whether it's just eyeliner and vaseline you use for a bare face. 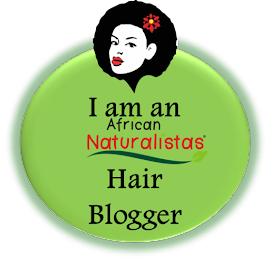 Hair - You can also have a separate post on your hairstyle for the day (or week or month). However you styled your hair can be shown off through photos in a new blog post. OOTD - Outfit of the Day posts are very popular with style and fashion bloggers. Take a few great shots of your outfit, from head to toe. Include details of your outfits for an extra touch. Also let your readers know where you got the different pieces from - stores or DIY. Recap or Review of the outing - Whether it's a restaurant, wedding, party, you can write about your experience there. If you had a great time, let your readers know. If you didn't, you can point out what could have been done better - hello constructive criticism. Learning - if the outing had a self-development or learning activity (or you just learned something about life, yourself, relationships, whatever), you can share what you learned with your readers and followers. Vlog - If you're like me that has a Youtube channel, this is a great way to generate content for your page. These days you don't even need to shoot a video with a camera - you can share your Snap Story as the video. BTW, I hope you have subscribed to my channel on Youtube already. Check out my real life examples from The TBC Blogger Meet and Greet here, here, here, here and here. I've been thinking of doing a vlog about what a day in my life looks like. I wrote a post about it but I think a video will make a good souvenir in the future. A Day in the Life vlog would be so much fun! I haven't done one yet, just a blog post like you. See it here. Simple and very helpful post. I tend to want to cram everything into one post and let that be that. Bad idea lol. P.S. What camera do you use to shoot for your youtube? Thanks Ekene. While you can put everything in one post, sometimes it might be tedious to write, and read. Therefore, breaking it up helps sometimes. I use my camera - it's a Canon EOS 700D. Its funny that I came across your blog to this post! I was just thinking the same thing because I want to create more content. Sometimes I overthink it and make it harder than what it is. You can easily make several post from one post and then link them together! I'm happy you landed here. Sometimes we overlook simplicity and make things more difficult than they should be. Girl, so many post ideas ... so little time! Look at me, it's 1:25 AM. Everyone is asleep and I'm up working. *sigh* There needs to be a button I can just press and gbam! Pictures will be taken of me and they will appear in a post. LOL! I know the feeling of having little time. Just pace yourself, innit? Grab any free time possible. But you're very dedicated though, so no worries. this post is simple and articulate. love it! creating posts are a chore but thank God we love what we do! Thanks Lara. If we didn't love it, honestly I don't know that we'd keep at it. Thanks berry.. 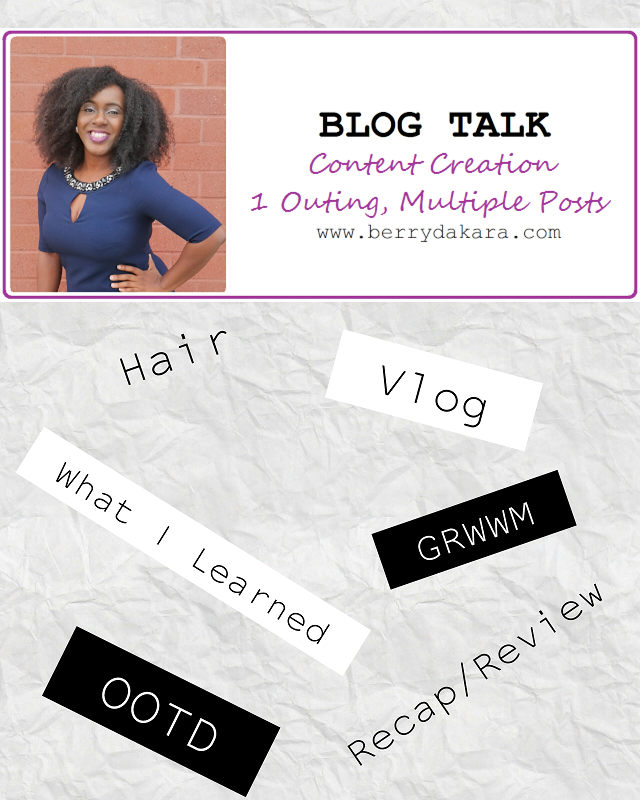 This post is for someone like me that is always Running out of ideas on what to blog about..
You're welcome! I hope you definitely use the ideas. Just subscribed to your channel and I likey. Great content tips. 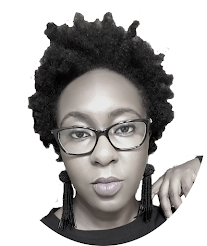 When I started blogging, the struggle was real but now things come easier. One thing I do is write on what the readers ask for. Thanks dear. I love your idea of writing about what the readers ask for. After all, we are writing for them, right? We should give them what they want. Thank you very much. LOL @ brain. Thanks Berry for sharing this tips....i sure need them.